Beautiful and trendy midi skirt from Cream. The skirt is comfortable to wear, especially with its large elastic waistband, which makes it possible to have it low as well as high-waisted. 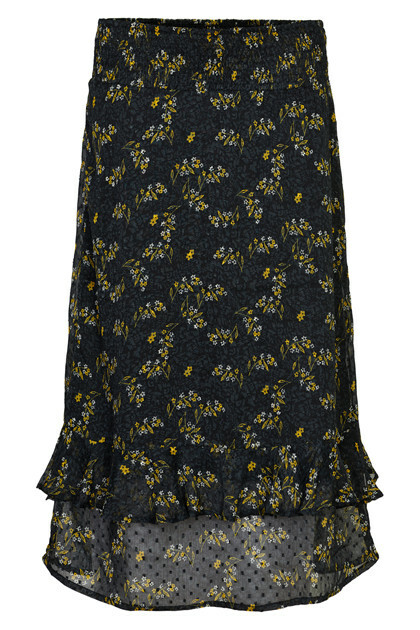 There are also cute ruffles at the bottom of the long skirt. It's a really nice skirt with a stylish and trendy look, which is perfect for both everyday use and party events.